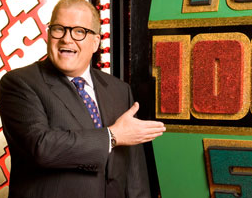 Look for Mitt ads on the ‘Price is Right’ … and Dems on Springer. The Washington Times did an analysis of Dem and GOP TV ad placements to reverse engineer their respective targets and strategies. Republicans are at an extreme disadvantage when it comes to television advertising because Democrats watch more TV. Every single genre of TV programming has a Democratic-leaning audience, with sports coming the closest to a partisan balance. Sports and documentaries, have audiences that are far more inclined to vote. “Shark Tank,” a reality program about entrepreneurship, has only 18 percent Democratic ads, and the law-and-order favorite “Cops” is heavily Republican. Venerable game shows, while barely registering as blips in modern pop culture, remain among the top destinations for political ads because of their largely older base of viewers who are likely to go to the polls. “The Price Is Right” is second among all TV shows for Romney ads and third for spots for Obama. Democrats are advertising during daytime shows watched by high numbers of unemployed people, including those who rely on welfare and other social services. More generally, the unemployed watch whatever’s on at 3 a.m., or Jerry Springer’ or Maury Povich. 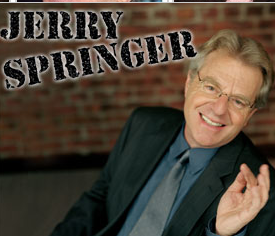 All “Jerry Springer” ads have been for Democrats. PAC Priorities USA has made 10 separate buys on Springer. Nearly every political ad during the adult cartoon series “Family Guy” is for a Democrat. More than 80 percent of political spots during “The Young and the Restless,” the long-running soap opera, tout liberal candidates and causes. Relatively inexpensive ads during daytime soap operas watched by stay-at-home moms are abundant, and are used primarily by Democrats. Reality-dating programs have a skewed Democratic audience that’s below average in likelihood to vote. Obama has advertised heavily on courtroom reality shows such as “Judge Judy” whose viewers include large numbers of black voters. The more lowbrow the show, the better. “If you get someone that’s watching ‘[Keeping Up With] the Kardashians,’ and they’re a swing voter, and see one or two ads,” that could make the difference because that ad may be the only political information they digest.